The mood really was killed here and with Archaic Course in what I see as two very average at best records. The atmospheres the band are able to create are just not there, and if anything, the so called progressiveness of the band serves as a detrimental effect on their sound rather than a positive one. The keyboards are highly overdone, almost to a laughable cheesy factor, and this coupled with I feel to be less than stellar vocals. Also, the album is highly repetitive and none of the riffs seem to distinguish themselves from one another. I was really disappointed with this particular release. 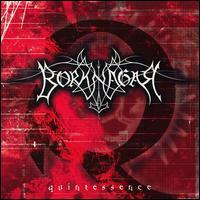 You will find to your liking some of the earlier Borknagar releases or some of the later ones if you are looking for this type of material.